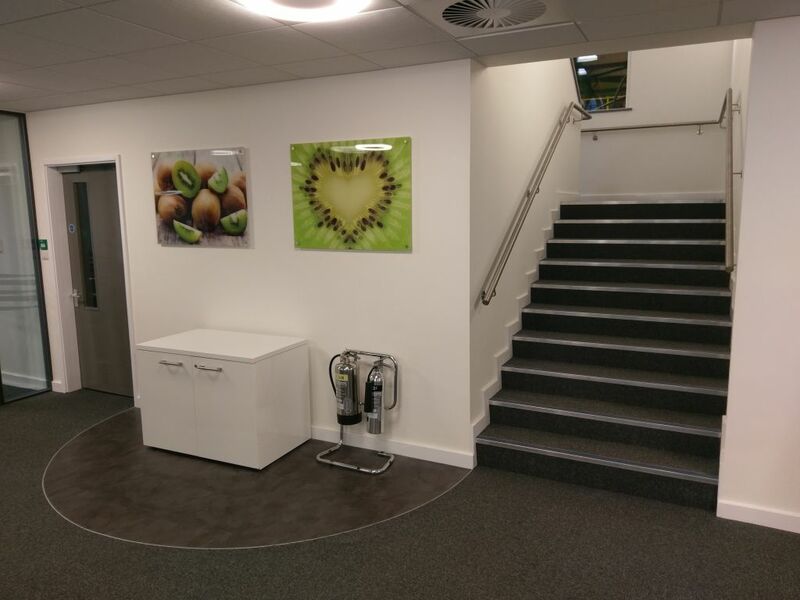 When your reception area is one of your first points of contact with customers and suppliers, then it makes sense to make it a good experience. 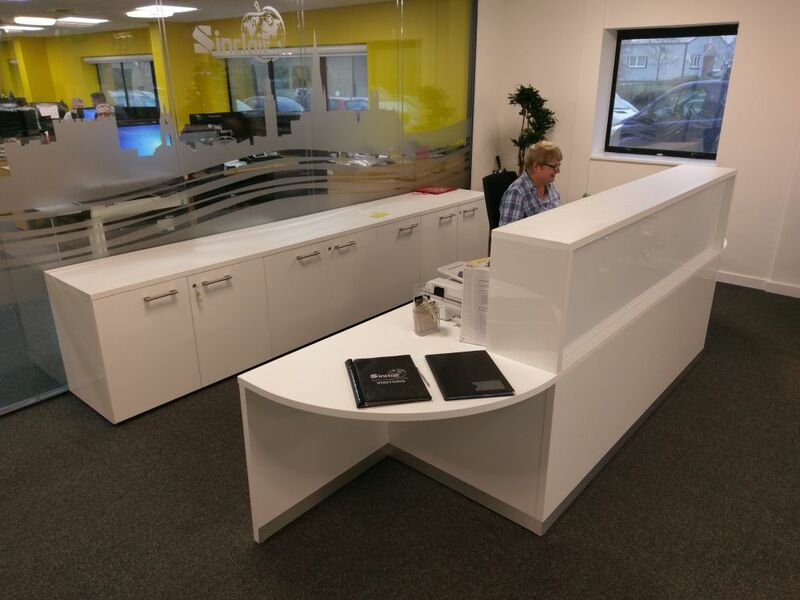 Sinclair International of Norwich got in touch with Acorn Works when they wanted to transform their existing ground floor reception area into something a bit more special. Building works began with the removal from site of the original floor and suspended ceiling. 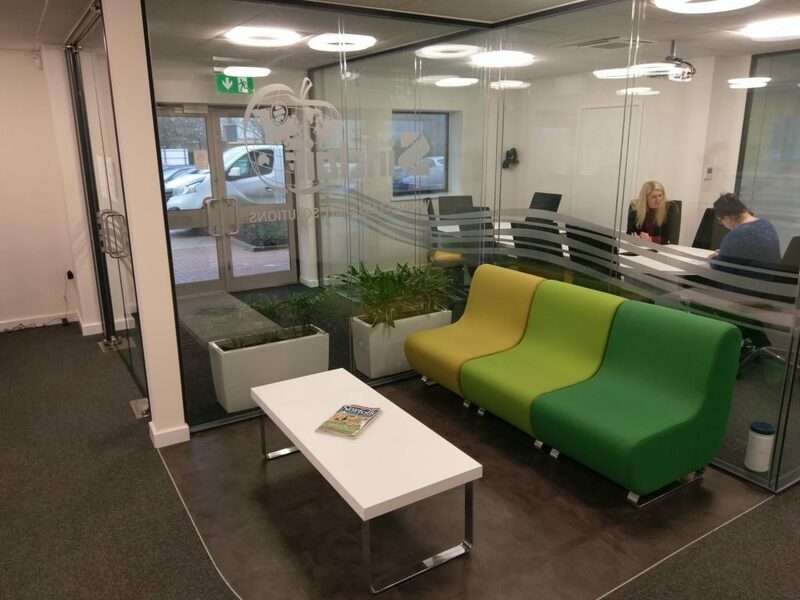 We installed new doubled-glazed glass partitioning throughout to divide the space between reception area, new lobby and open plan offices on either side. A new suspended ceiling was installed with custom bulkhead detail, while feature hard flooring was introduced into the soft seating areas as well as new entrance matting. Interior furnishings including a selection of soft seating and custom-made furniture (designed and installed by Acorn) provided the finishing touches.